10 X20" Maggie Barbour "EVENING PRAYERS OF THE DEAD"
Auction to benefit the Charity Wings Art Center. 1) Leave a comment on this blog post with your bid amount and your email address. You must include your email address for your bid to be accepted. You must increase your bid according to the amount stated under the starting bid below. 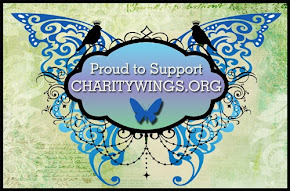 2) Join us on November 2nd in the Charity Wings Parlour to see how your bid is doing. We will be closing the auction during the Dia De Los Muertos Party at Seaside Soiree. 3) SECRET BIDDING- If you will not be around for the LIVE closing, you can send us a "secret" max bid via email (info@charitywings.org) or Facebook message. Like eBay, we will only bid up the items to your max bid as you are outbid. Your donation supports the our programs! 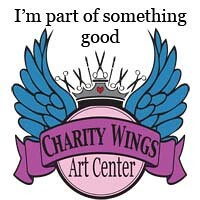 The mission of the Charity Wings Art Center is to be an inspiring place for people of all ages to Gather, Give Back and Create; as well as to partner with other charities to give free classes to those who can benefit from the Hope, Happiness, and Healing that art can provide! The word "Maggie" is a watermark on the photograph of the painting, and does not appear on the actual painting. Join our handmade holiday ornament swap!